Mantis has traveled the galaxy! Now this guardian joins the Rock Candy series. Packaged in a window display box, the Guardians of the Galaxy Vol. 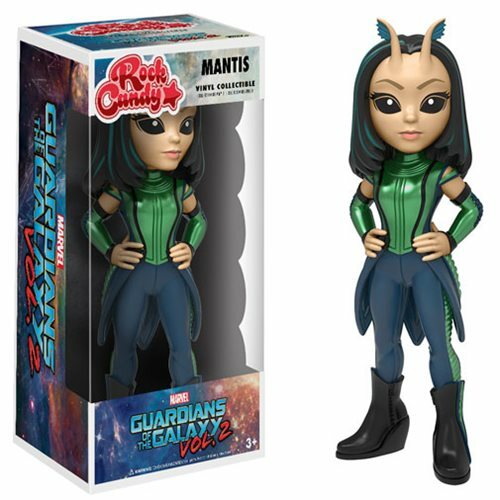 2 Mantis Rock Candy Vinyl Figure measures approximately 5-inches tall. Ages 3 and up.